Madheshi people have been fighting for their rights. 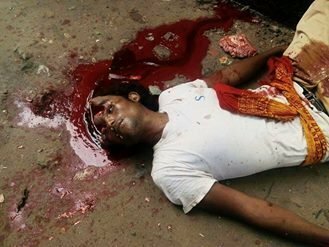 State has been showing brutality in Madhesh. State has declared riot affected area, curfew area, restricted area but people are fighting for the right. They are sacrificing their lives. State has been beating and killing children, woman and old persons hurling in their houses. So Madhesh celebrates the day as Black Day. Thousands of people are crowding in headquarters of Madheshi districts.